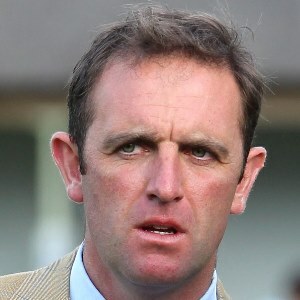 Derby-winning trainer Charlie Appleby has been working for Sheikh Mohammed bin Rashid al Maktoum’s Godolphin operation since 1998. And, when Godolphin was at the centre of a drug scandal during the summer of 2013, he was chosen to take over the training licence from the disgraced Mahmood al Zarooni. He has always worked with horses, initially with point-to-pointers in Devon and then working for jumps trainers Angela Knight and Jackie Retter. He wanted to become a jockey, and rode a couple of winners in Arabian races, but although he completed a nine-week course at the British Racing School in Newmarket in 1991 it soon became apparent that his natural body weight was too heavy to allow a career in the saddle. His first job in Newmarket was for Susan Piggott (whose husband, the retired riding great, Lester Piggott, was an important influence). He became her Travelling Head Lad before moving across town to fill a similar post for David Loder. When Loder moved to France in 1998 to become the private trainer of Godolphin’s two-year-olds, Appleby moved with him and when Loder returned to Britain two year later Appleby did so too, but to continue working with Godolphin rather than Loder. He bagged his first Group 1 success when Outstrip won the Breeders’ Cup Juvenile Turf at Santa Anita in November 2013 and has continued to flourish, his proudest moment coming when winning the 2018 Investec Derby with Masar, just 24 hours after his Wild Illusion had finished runner-up in the Investec Oaks. “That was absolutely amazing,” said Appleby. “All I could think of in the last furlong was that I wanted to be the first trainer to win the Derby in the Godolphin blue. “It’s such a special day with the Royal family being here. This season, we’ve just been knocking on the door and it was the same story yesterday (when 5/2 favourite Wild Illusion was beaten into second in the Investec Oaks). Obviously, I went home a bit disappointed, and it was a long drive home, but that’s the great thing about His Highness (Sheikh Mohammed – owner of Godolphin), he told me not to worry and that we’d try next year. “So I came here today very relaxed and just wanted the horse to do his best. It’s been so good. It still hasn’t sunk in and it probably won’t for days or even weeks. I was always just hoping the door was going to open for us this season and, to be honest, I did think it was going to be yesterday. “The great thing about the team around me, especially His Highness Sheikh Mohammed, is that they are so supportive. I’m a realist – I’ve been in this game all my life and we were beaten fair and square yesterday. You’ve just got to take it on the chin and take the positives out of it. “Today was another day though. He put up a great performance in the Guineas and it was always going to be the best trial I thought. Appleby was far from finished for the year. In November he saddled a third Breeders’ Cup winner (from just six runners) and days later became the first British-based trainer to saddle .the Melbourne Cup winner when Cross Counter triumphed.